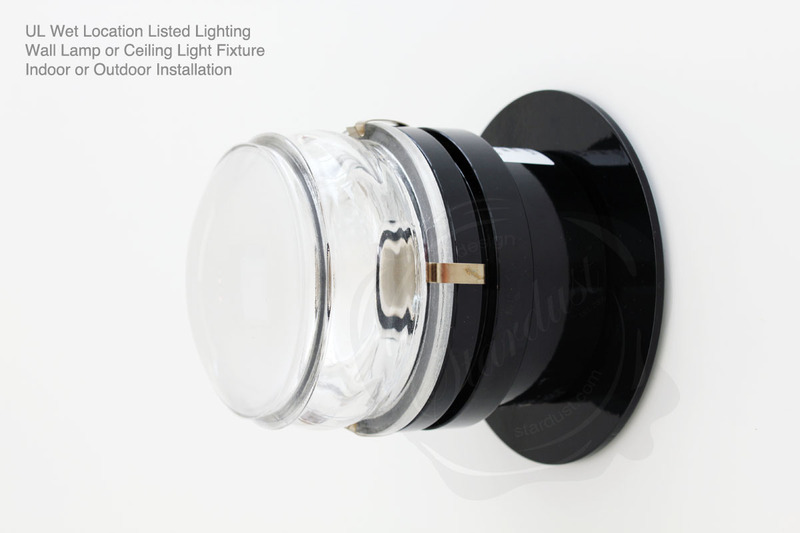 Fresnel-Lens Oluce Joe Colombo Lamp | Wall Lighting - Beautiful modern wall- and ceiling light fixture for wet locations. 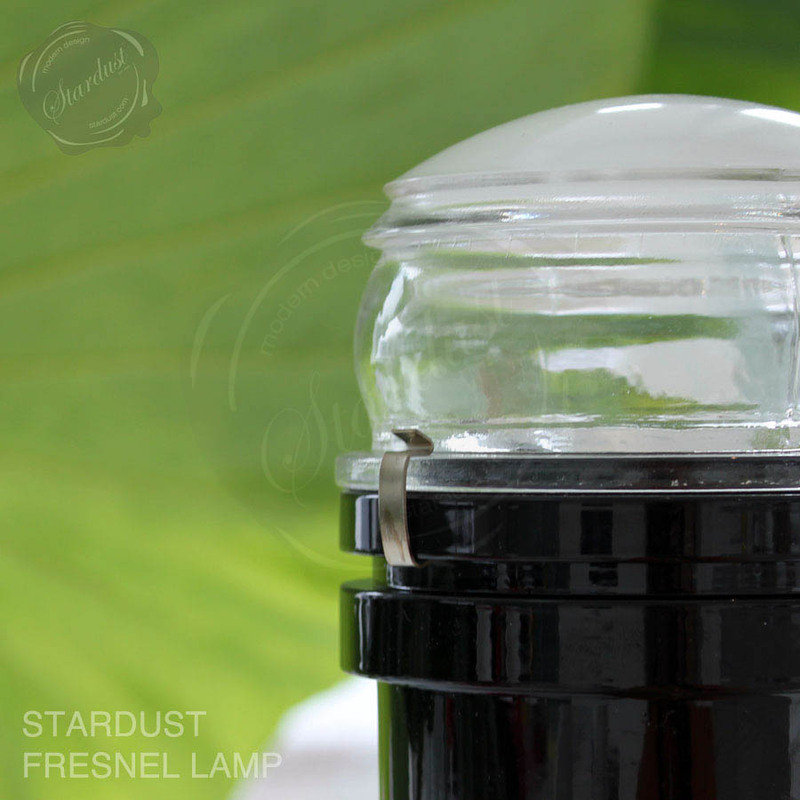 The Fresnel Lamp from Stardust was especially developed for wet locations such as exterior applications and wet indoor installations such as bathrooms, spas, swimming pools, etc. 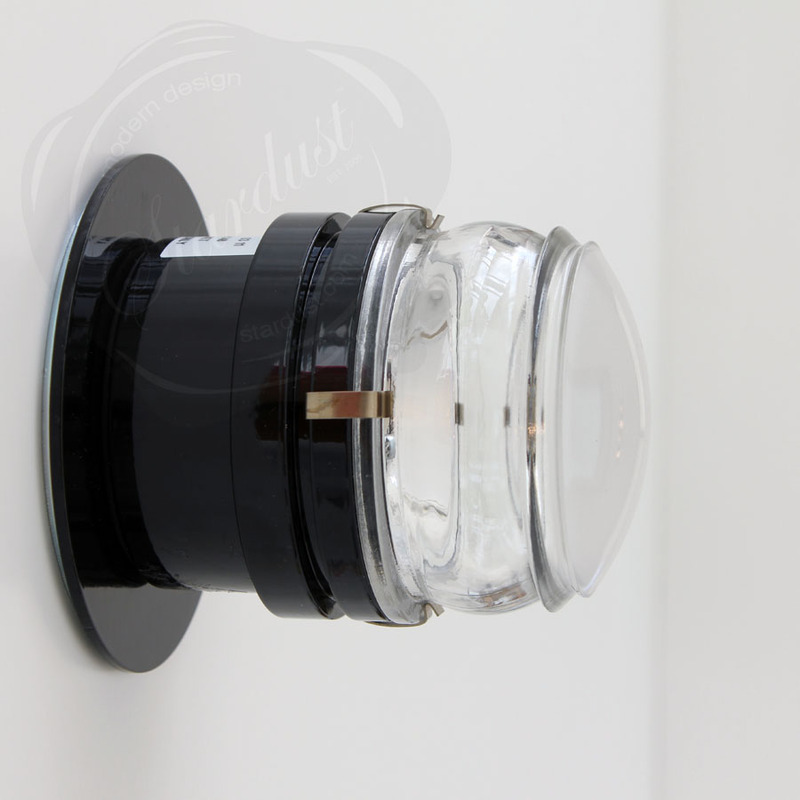 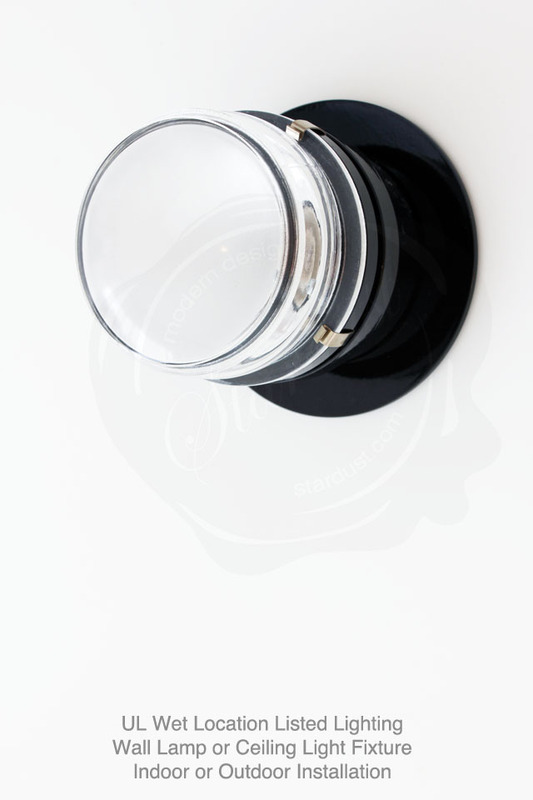 A beautiful and stylish UL Listed wall light for Wet Locations, Flush Mount Light Fixture. 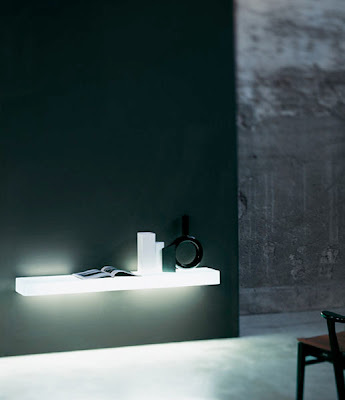 This fixture combines architectural qualities with a functional design. 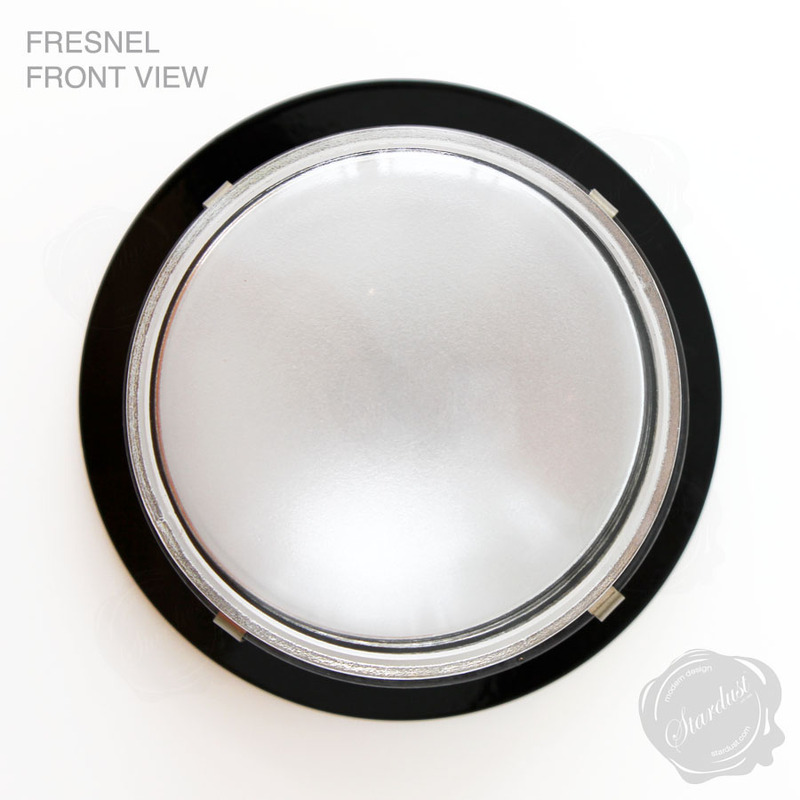 Use the Fresnel Lamp for modern outdoor wall lights, bathroom lighting or as a wet location ceiling light fixture. 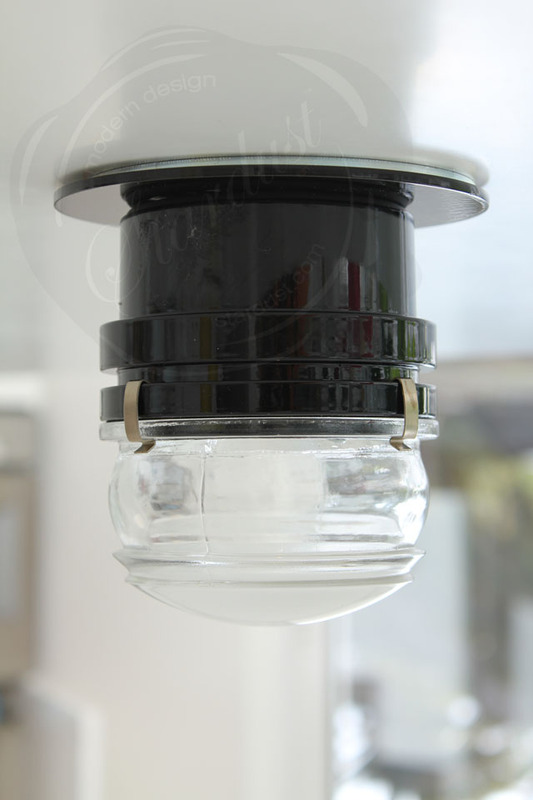 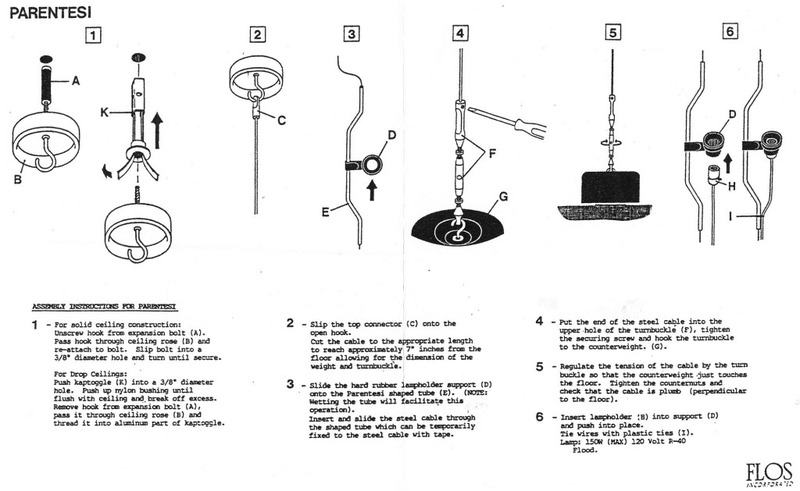 The Fresnel Lamp can be installed in a covered or uncovered location. 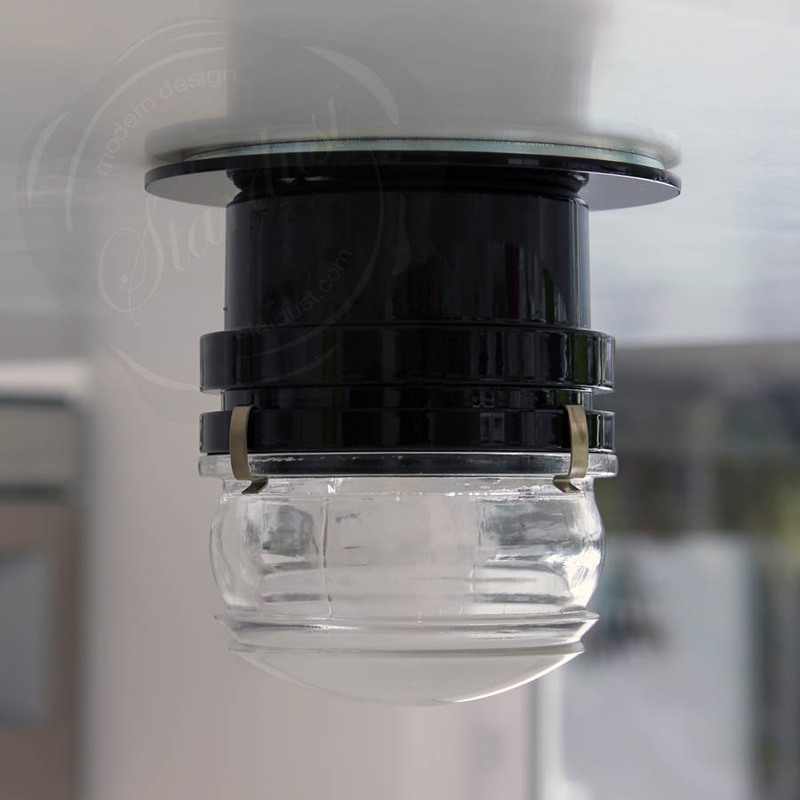 It is made to withstand direct exposure to rain or water since it is UL listed for wet locations. 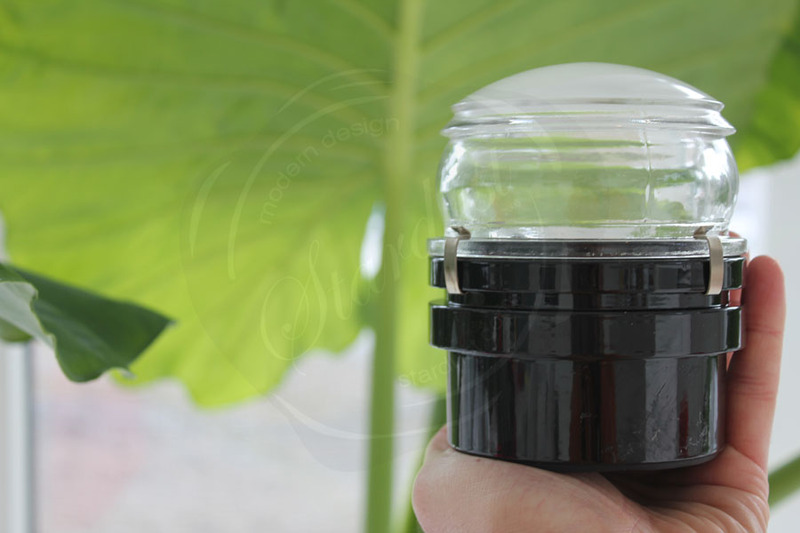 Wet Location Lamps are designed for both interior and exterior installations - they can be outside in the rain if needed. 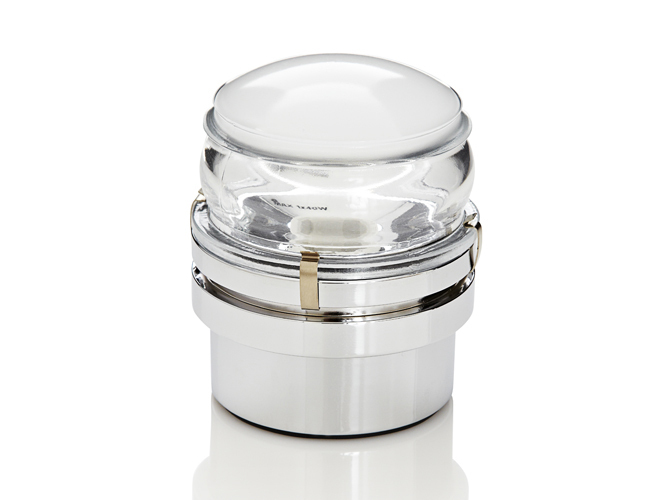 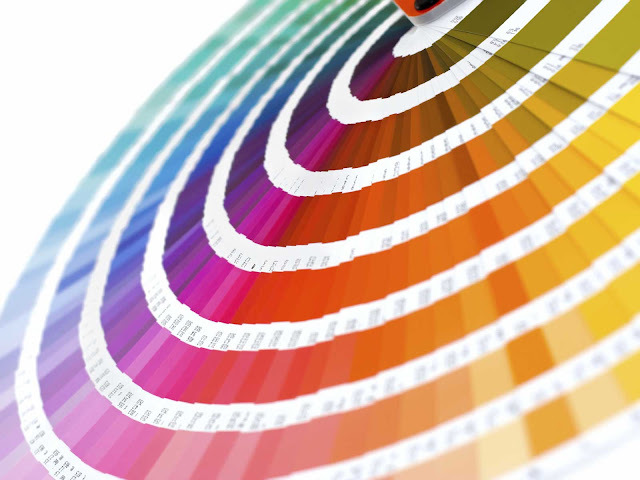 They are perfect for outdoor patios, porches or gazebos where outside elements will directly affect the lamp. 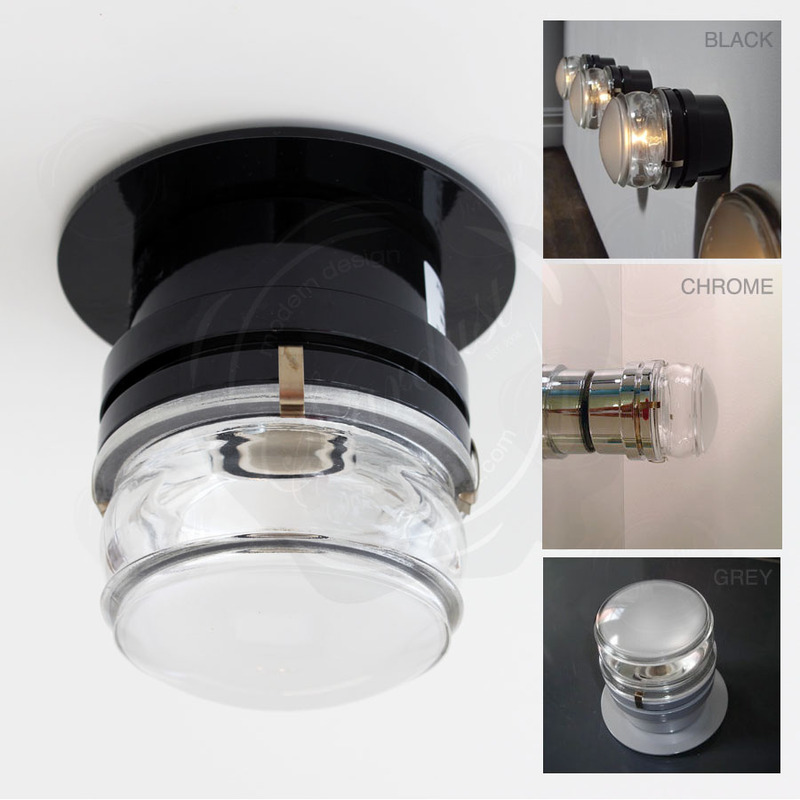 These light fixtures make also great bathroom lights for residential- and commercial applications.